New band for you today, not too much out there on the band yet. But the positive for us is that they're coming from our neck of the woods. Decipher that however you like. 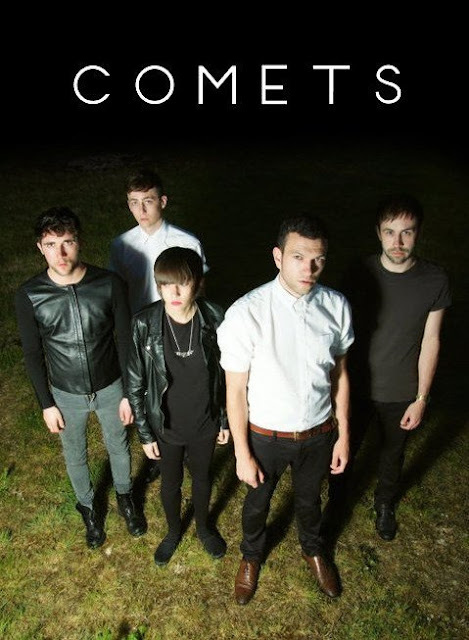 What we do know about Comets is that they play broody and atmospheric electronica, the progressive kind that makes you feel like your constantly on a musical knife's edge. Listen to their latest two tracks, "From The Floor" and "Look Back" below. The two as a pairing, show off the bands versatility by way of one, containing a laid-back chillwave undercurrent and two, bringing the funk! For more material head over to the bands Soundcloud and Facebook.